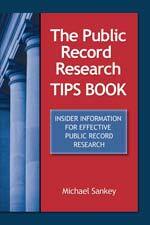 Learn first hand how to use “Insider Information” for searching for public records at thousands of government public record agencies and web pages. This resource provides the tips and practical knowledge to guide you to the right source and help you become an ultra-efficient searcher. President, PFC Information Services, Inc.